While the fishing season is by no means over, it may be time to start thinking about putting away some of your equipment—dry-fly rods, the 2-weight you use for native brookies, etc.—for the long winter. 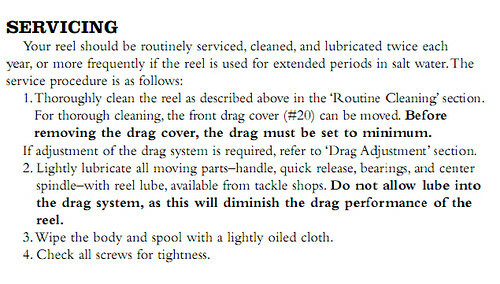 Although most fishing gear will last for years if you treat it right, incorrect storage can shorten that life span or ruin the aesthetics of a fine rod or reel. For instance, C. Boyd Pfeiffer, the godfather of tackle craft, tells of how he put a fly rod away wet, and when he retrieved it in the spring it was covered by tiny white blisters under the finish. Here are some tips to help you avoid such an unwelcome surprise. This entry was posted in Flyfishing, Golf. ← New Date for Don’t Drill Day!